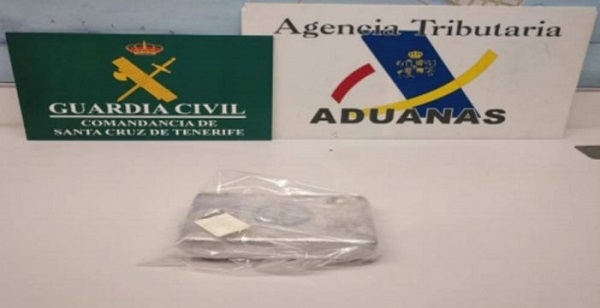 Guardia Civil officers recently arrested a 32-year-old man from Madrid who was caught trying to enter the country with 1,100 grams of cocaine. The man had arrived at the port of Santa Cruz on a regular ferry between the Spanish Peninsular and the archipelago. During a routine inspection, he caught the attention of the officers by his nervous behaviour. Suspicions increased during the course of a conversation, so that the officers decided to examine his luggage. There they found a package containing 1,161 grams of cocaine. He was arrested and has appeared in court.